It’s Saturday! The weekend! Let the good times roll. So why am I lying in bed at lunchtime crying?? I’m flicking through my Netflix “must watch” list. I’ve got “Beasts of No Nation” “Machine Gun Preacher” and other intense films. Too much for my Saturday thanks. Ok, I start to watch a documentary “Living on one dollar a day”. Let’s expand our minds and learn something in our down time! I get 5 minutes in and I’m in tears. I can’t handle it. These guys are off to Guatemala to see what it’s like for a young boys family living on $1 a day. They put out the statistic “1.1 billion people live on less than $1 a day.” 1 in 7 people. I look around the room at my beautiful jewellery, clean hair after my hot shower, my new outfit worth more than $100 and the books that line my shelves. How can I ever understand! These are not new statistics. I work at the amazing international development and aid organization World Vision Australia. I read these stats, these stories and news articles everyday. It’s my job to know this. It’s something I care deeply about, I want to help in alleviating Global Poverty. It’s why I work there and have supported the organization through donations for more than 11 years. We do incredible work and I see the different it makes. Personally, I still want to do more. I still feel it. I still feel the struggle. We are lucky. We have a lot. Yes we give, but we can do more. This thought keeps circling my mind and I feel helpless. What more can I do? How can I be the change I want to see in the world? I don’t like the term “lucky”. It’s often used to describe my travels and adventures. I correct people “I am fortunate”. I’ve taken the opportunities, I’ve worked hard to achieve my goals and I will continue to do so. But yes, I’m fortunate to have such opportunities. However, when a man who was born during the Khmer Rouge regime announces to myself and a group of tourists in Cambodia “you are lucky”. I take this with the weight and sincerity that’s intended. “You are lucky to be born in Australia. To live in a country where you have choice.” He was right! Recently I travelled to Bhutan, the land of happiness. I was getting to know me kind and knowledgable guide. I was talking about some of my travel and past experiences. He looked me in the eye “you are lucky”. I said “yes. I am”. I don’t fight it anymore. Not from these people. They look at us and see what we are blessed with. But we don’t see it for ourselves?? It’s Saturday! I don’t want to dampen your spirits. Meet your friends, go to lunch and go out for some dancing tonight. Spend your hard earned dollars and enjoy yourself!! You deserve it! But take one moment. Just stop! To think… That $50 meal, that $10 cocktail, that new dress for the Halloween party… What could just a fraction of that do for someone who lives on $1 a day. Back to my earlier question – what can I do? I can use my voice. I can share my story, my knowledge and my understanding with others. I can ask you my fans, followers, family and friends to do something! Something small but something good! Right now I’m going to make a donation to Tanzanian Street Kids. 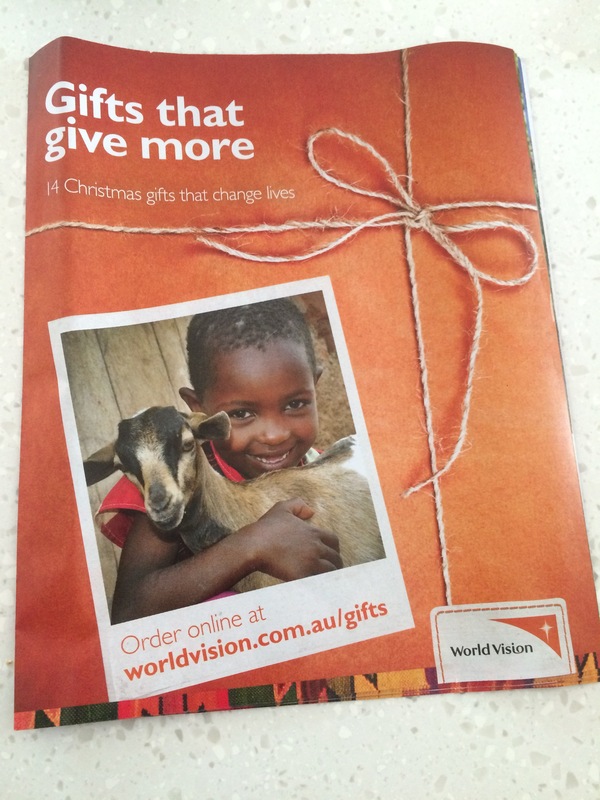 I’m fundraising $2015 in 2015 for World Vision Australia to support their work in Tanzania. I am asking for donations of $20.15 for 2015. It’s a small amount but together it can do a lot. We can always do more. What will you do to be the change? Pick up The Sydney Morning Herald and find a gift that can change a life this Christmas.